One year ago, we began renovating this holy space. Wow! What a transformation. In just one year, we have implemented over $40,000 in renovations from paint to projection, furniture to fixtures. Most recently, our chapel was completely transformed by the installation of new carpet and wood-look flooring. This work was completed ahead of schedule thanks to the incredible support of this community! Our next renovation phase will reimagine the entrance, chapel and outdoor space. We will paint and repair exterior gutters and spruce up the landscaping outside, commission a hand-crafted altar, install new pendant lighting inside, and freshen-up the pavilion out back. It’s quite a to-do list! We anticipate that this phase will cost approximately $8,500. We hope to complete this renovation phase in time for our 10th Anniversary celebration on September 24th. Beyond this physical work of renovation, we also celebrate the reimagined relationship with Bethesda Lutheran Communities. One year ago, we entered into our lease agreement with Bethesda. This partnership has been incredibly fruitful as we join together in mission in ministry. Our worship life is enriched by the presence of our Bethesda friends each and every week. We are better together! On the seventh day, God rested. After six long days of creative, life-giving, fruitful work, God rested. We humans are invited to follow this same rhythm. We are commanded to honor the sabbath and keep it holy. Sabbath is time set apart for sacred rest and renewal. We may find daily sabbath through moments of quiet reflection and prayer. We may find weekly sabbath in Sunday worship, family meals and lazy afternoons. We may find annual sabbath with a weekend or a weeklong vacation. These times of rest and renewal are life-giving; refueling us to head back into fruitful work. After a decade of faithful ministry, Sister Shelli will head off for Sabbatical, an extended time of sabbath rest. We will send her off with God’s blessing in worship Sunday, June 11, and she’ll return to community life Monday, August 7. Hi friends! I’m delighted to share with you that I have been granted a sabbatical leave beginning June 12 through August 7 this summer. 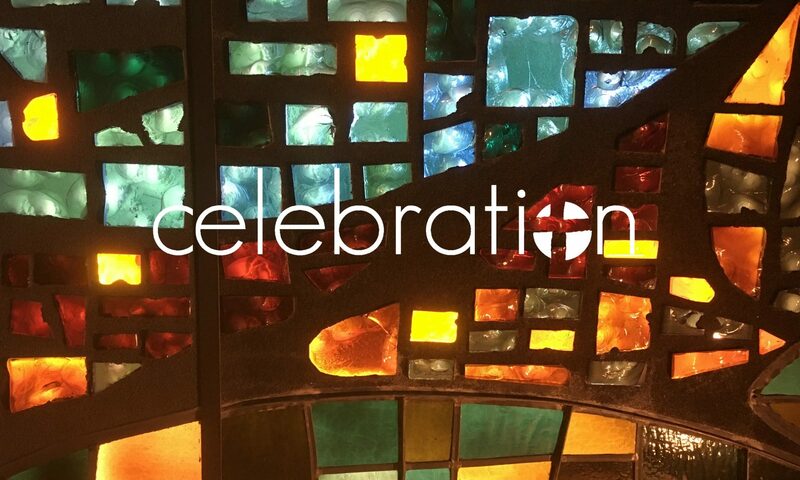 I have had the privilege to serve alongside Celebration for over 10 years. I began my time here in January 2007 as a member of the initial Launch Team which met weekly at the Cork Cafe to discuss and dream what a new mission start in Cypress could look like and be. I have to tell you that I am just as excited today about celebrating Christ, caring for others and serving the world as I was then. Together we are doing great things! During my sabbatical, I will be setting time apart for rest, renewal, discernment, spiritual direction and some adventurous learning experiences and educational endeavors. Whereas I look forward to this gift of intentional rejuvenation, please know I will return with even more passion, vigor and a refreshed vision for mission! Happy Epiphany! Today is the day – the 12th day after Christmas to be exact – the day we celebrate Epiphany. In our holy story, it’s the day we remember the Magi’s journey from the east. Matthew’s Gospel tells us that the Magi followed a star to find the newborn King. Christ’s incarnation marks a new beginning, a holy reign for all people. This time also marks a new beginning for us. Not only a new year, but also a new season in the life of our church. In this season of Epiphany we celebrate the revelation of God incarnate – 2,000 years ago and still today. As a community we will mark this season of revelation with Epiphany Home Blessings. This ritual is a meaningful way to honor the Christ who dwells with us. A traditional way of doing this is to use chalk to write above the home’s entrance, 20 + C + M + B + 17. The letters C, M, B have two meanings. They are the initials of the traditional names of the three magi: Caspar, Melchior, and Balthazar. They also abbreviate the Latin words Christus mansionem benedicat, “May Christ bless this house.” The “+” signs represent the cross and 2017 is the year. So, I invite you to take part in this meaningful ritual in one of two ways. You may pick up a Home Blessing Kit this Sunday to chalk your own home. Or, I would love to come over for a blessing ritual and time of fellowship (Warning: Emma or Lily will likely be in tow). Contact me or RSVP on your connect card so we can set up a time. Either way, I hope you and your household will take a moment to celebrate Christ’s presence – wherever you dwell. Tis the season for gift giving. As we prepare for Christmas, we have an opportunity to shower our people with good gifts. Our culture, and the marketing machine, may entice us to buy random gifts with a sense of obligation or extravagant gifts that quickly go out of style. There is an alternative. Giving good gifts that honor our faith and our people. Our own gift giving follows the example of the Magi, the ones who traveled from afar to bring good gifts to the new born king. In the Gospel of Matthew we hear, “On entering the house, they saw the child with Mary his mother; and they knelt down and paid him homage. Then, opening their treasure-chests, they offered him gifts of gold, frankincense, and myrrh” (Matthew 2:11). Now I’m not suggesting that you give Grandma some nicely wrapped frankincense or little Johnny a lump of myrrh. But I am suggesting that we can learn from the gifts they brought. Gifts that honor good. The first gifts were an offering to God, in honor of Jesus. You might give an offering to a charity in honor of your loved one. Select a charity with ties to who they are – like Keagan’s Kitchen (an organization that prepares healthy meals for children) for the foodie in your life or the Houston Arboretum for the nature enthusiast in the family. Gifts that are meaningful. The Magi’s gifts were not random, they were intentional – Gold that was costly, Frankincense used for worship and Myrrh that represented the suffering and death Jesus would encounter. Take some time to give meaningful gifts. Maybe a rose bush for your mom, to replace the one you demolished playing basketball as a kid. Or a nice bottle of wine to be shared over a meal you prepare for a sibling or friend. Gifts that are a sacrifice. The magi brought costly gifts from the East, traveling rough terrain and directly disobeying King Herod. You might sacrifice your time and resources to make a gift by hand. Or maybe you have a family heirloom that a sibling or cousin has always coveted. Giving of yourself is sacrificial and most often yields even more in return. Think of it this way, the Magi brought gifts to Christ; the gifts we give honor Christ in our family and friends. So whatever you do, do it on purpose. Well friends, you were certainly up for the challenge. Back in September, I welcomed / invited / challenged our community to write personal creeds, statements of faith that proclaim your understanding of God and your modus operandi. Throughout our Credo series we explored the wholehearted confession of faith we share in the Apostle’s Creed as well as the unique personal creeds that tug at the heart of each individual. These personal creeds took on a variety of shapes. We received a little Hebrew lesson from Meredith and an insistent plea that God loves all from Carrie. We experienced a beautiful story of belonging from Griffen and a Top 10 List from Sister Shelli (of course). Chuck encouraged us to respond to hate with love and respect and Rey challenged us to embrace a God that’s bigger than our imagination. The Cordes family taught us that God is good at Algebra, while the Drapers revealed a creative, humor-filled God of the platypus. Kathy pointed to the face of God unveiled in her children and grandchildren while Amber celebrated her 30th birthday with a God who redefines our expectations. Thank your for exposing your heart, for sharing your faith. Through the diversity of our experiences and the depth of our understanding – we come to know God more fully. And this is good news. We learn more about God when we are in relationship with God’s people. This, I believe. This month’s pastoral insight comes from my seminary friend, Brook Seaford. Brook is a dad to five wonderfully unique kiddos and a spouse to the phenomenally resilient Kristan. Brook is in the final stages of preparation for ordination in the ELCA; he currently serves as vicar of Cross and Crown Lutheran Church in Matthews, North Carolina.